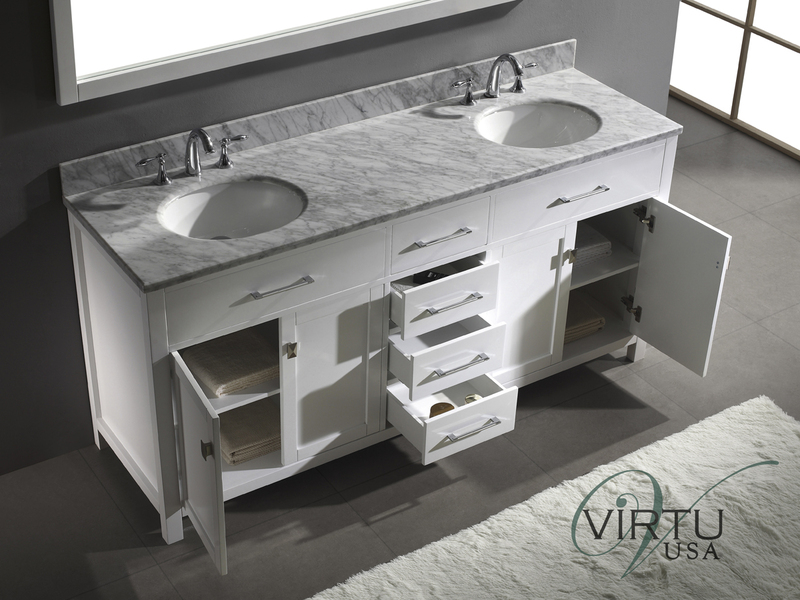 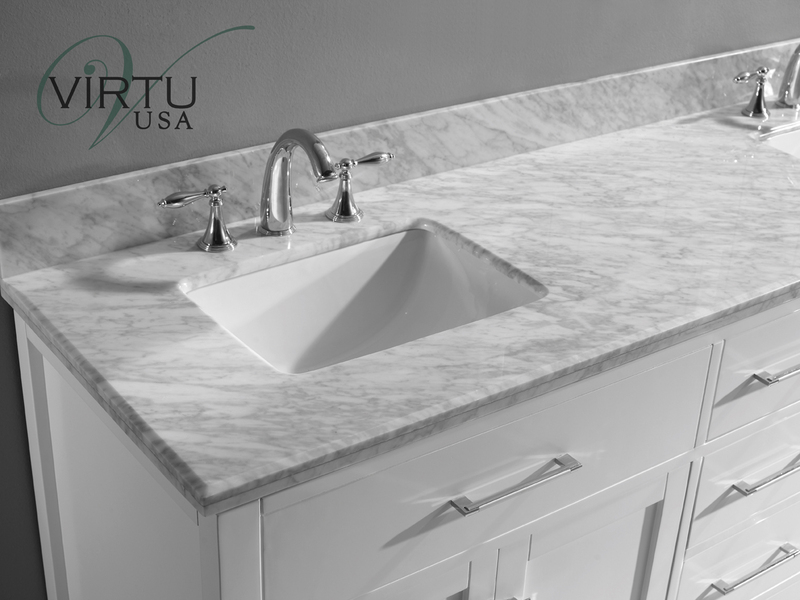 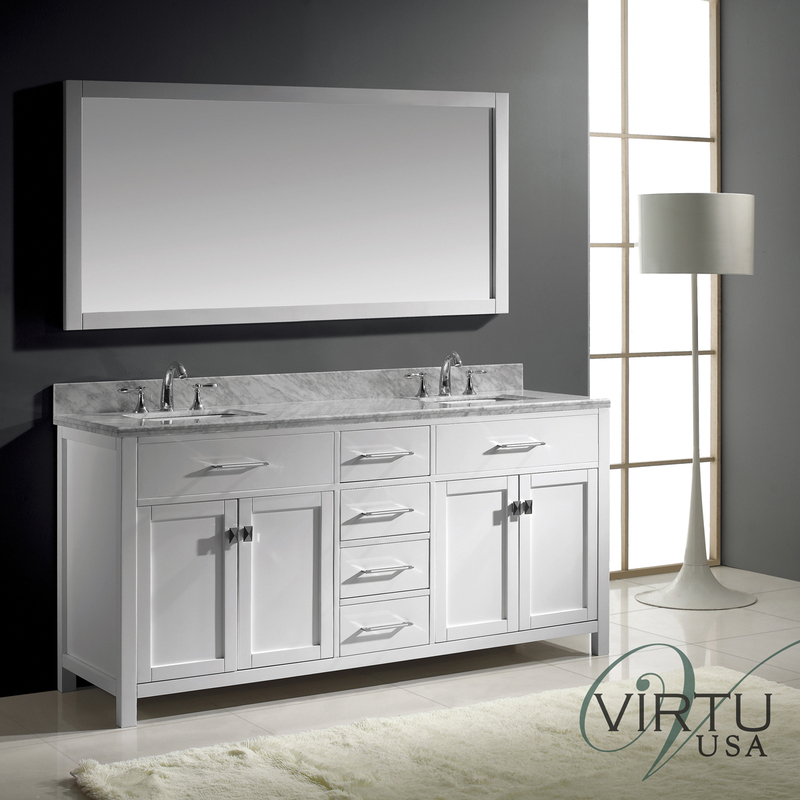 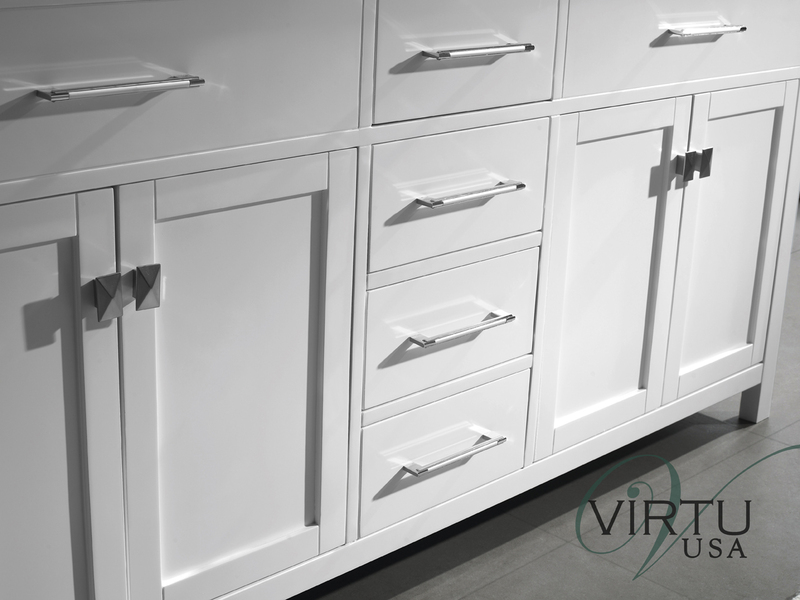 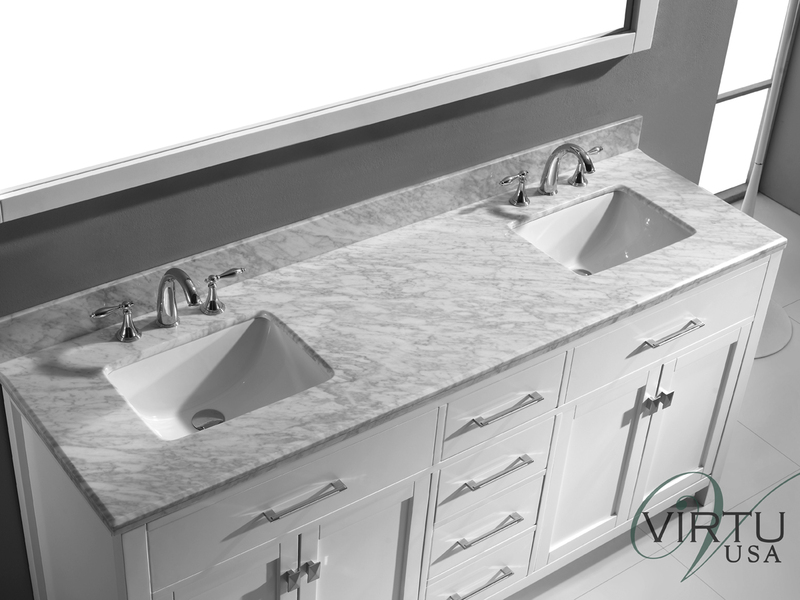 Featuring durable materials such as its beautiful solid oak cabinet finished in a deep White finish, and its complementing Italian Carrera White Marble top, you'll find your bathroom completely transformed with the 72" Caroline Double Sink Vanity within it. 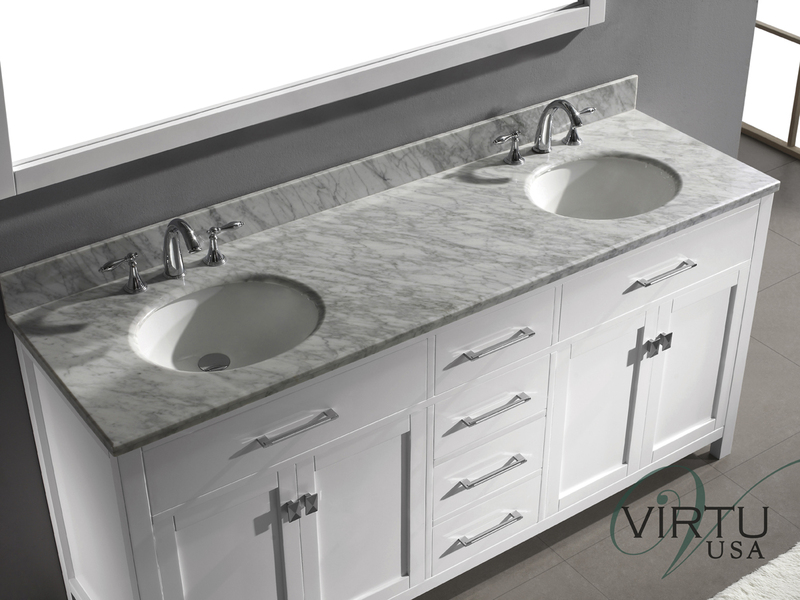 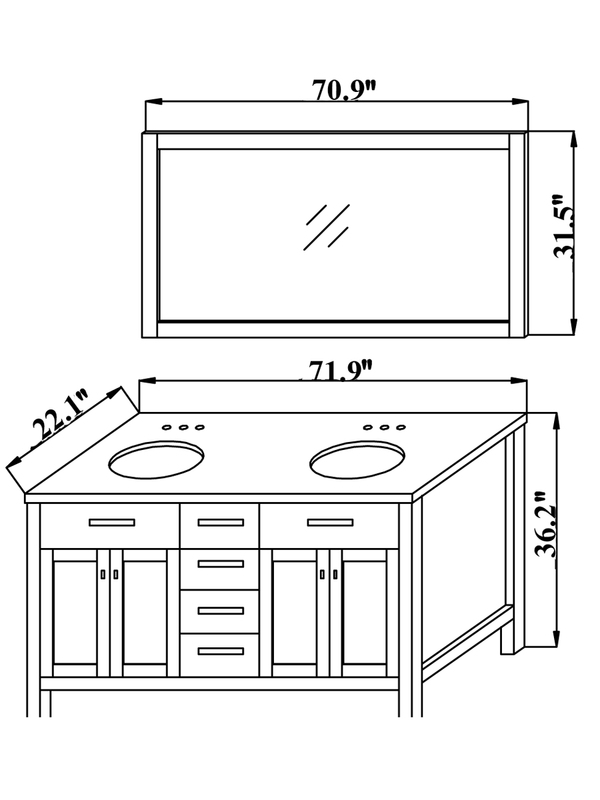 The sinks can be cut squared or rounded to give yourself a more traditional or modern look. 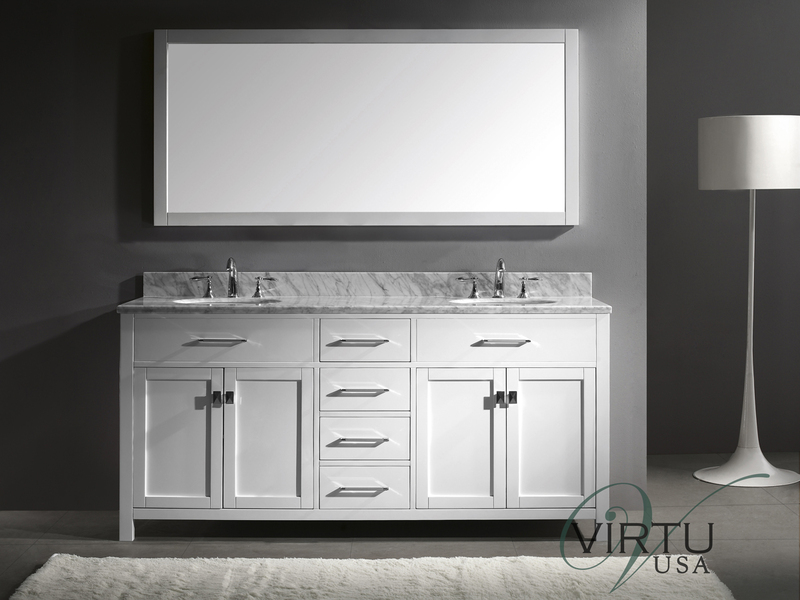 The Caroline Double Vanity also comes with a matching mirror!